Dr Anupama Kukreja has done her schooling from Bal Bharti Public School, Delhi. 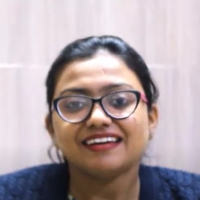 She has done her BHMS from Bakson Homeopathic Medical College, Greater Noida. She has also done her MD from the same college. She has been praticing Homeopathy since 2009 in her own clinic by the name of Dr KL Memorial Homeopathic Clinic in Delhi. Homeopathy is a branch of Science which comes under the department of Ayush. It is the holistic approach towards treating the patient. It is based on the law of Similia Similibus Curantur which means treating the patient by similar medicines. "After completing my MD in Homepathy, I started practicing Homeopathy in my own clinic by the name Dr KL Memorial Homeopathic Clinic in Delhi in 2009.Since then I am working as a Homeopathy Doctor."